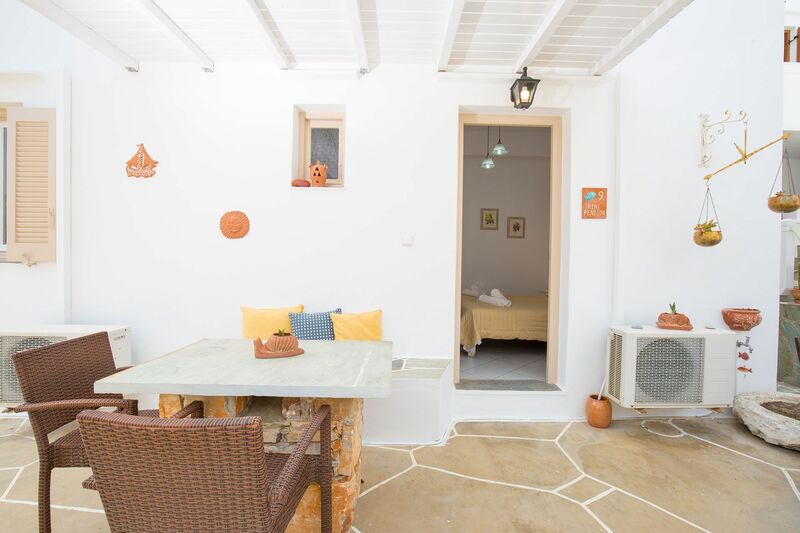 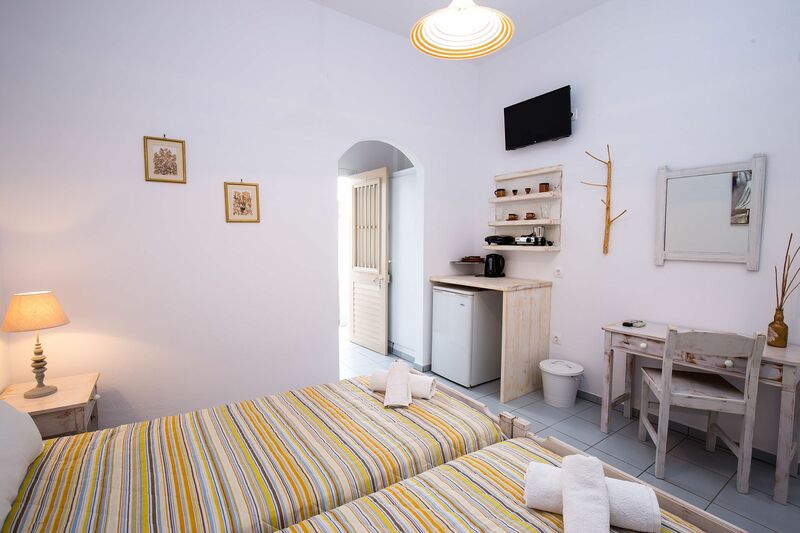 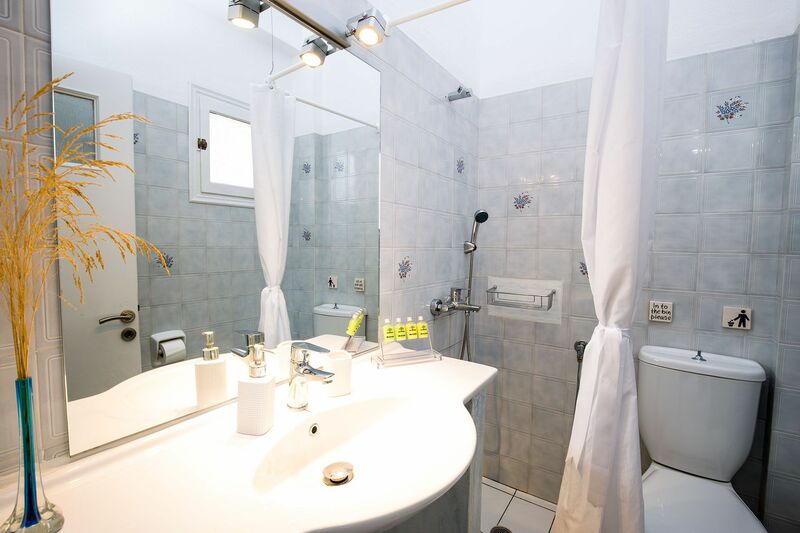 The traditional accommodation IRINI PENSION is housed in a two-storied building of traditional Cycladic architecture and is distinguished for its simple and unobtrusive construction. 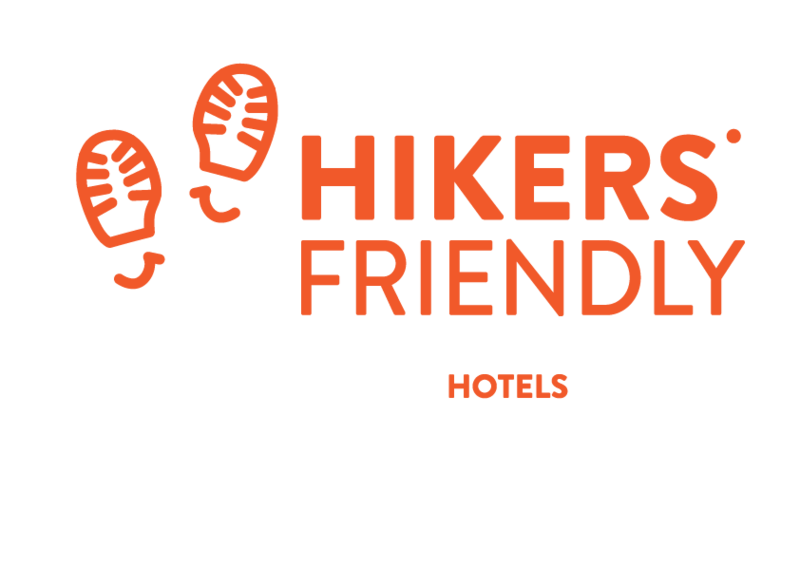 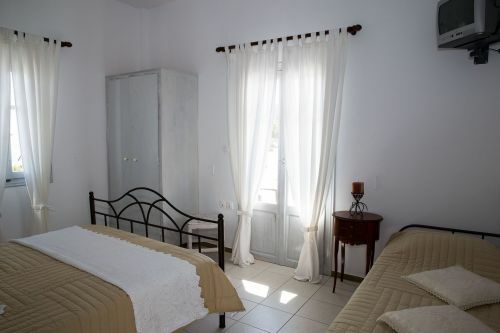 It is the best choice of accommodation for you who want to relax in a country-style and traditional setting. 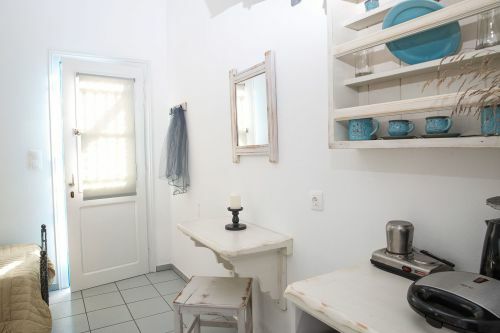 It has a total of 8 rooms and a studio. 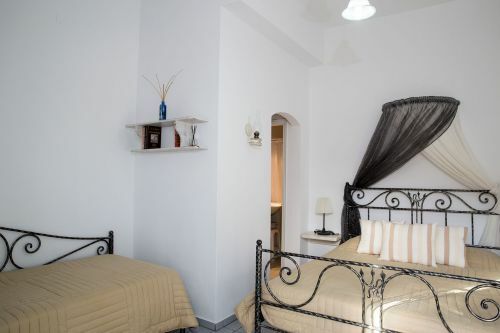 On the premises of the building there is a beautifully decorated communal courtyard.